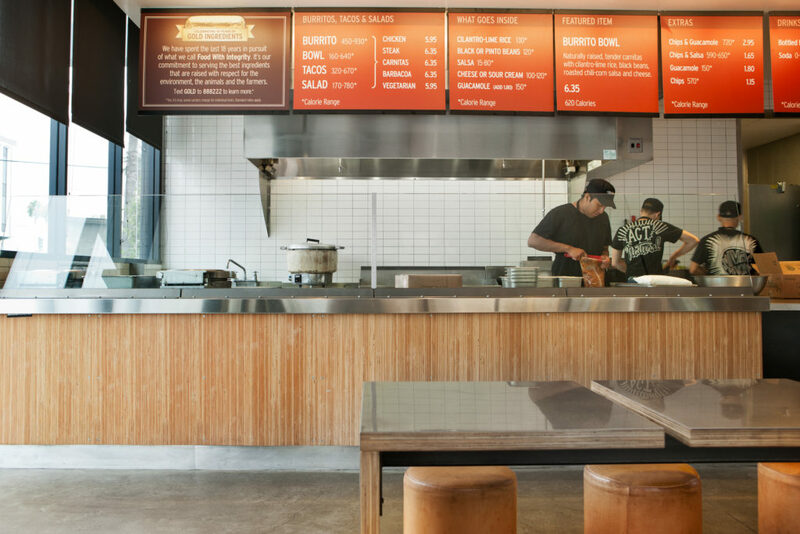 Hiring like-minded people and investing in their training means “people will work really hard,” Chipotle’s Chief Financial Officer Jack Hartung told collision repairers in a spring event. It was among several insights from the fast-casual CFO into how auto body shops might attract and retrain good workers and use them to deliver a proper repair to customers. 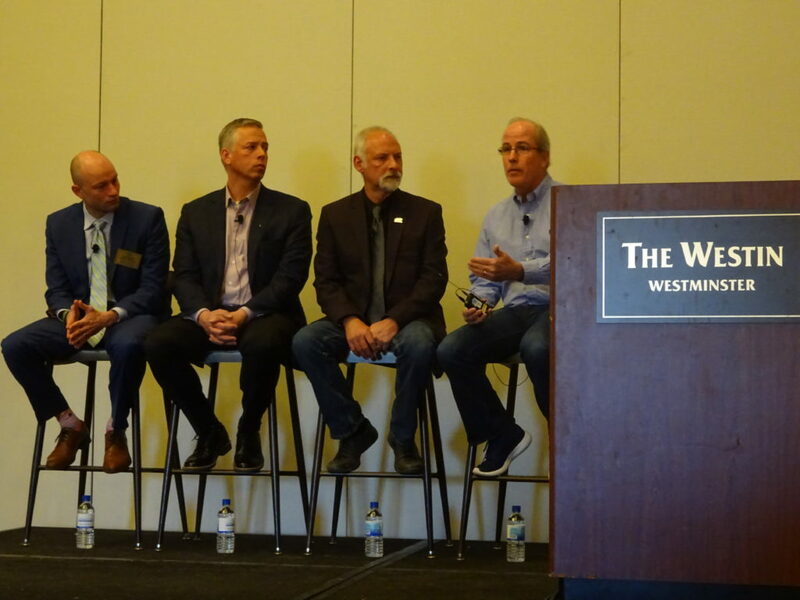 Hartung spoke and participated in a panel during the Society of Collision Repair Specialists’ April Repairer Roundtable. As the chain prides itself on doing the right thing and delivering higher-quality food rather than competing to deliver cheap ingredients at a low price, Hartung’s message carried lessons for shops wishing to compete on quality — which can mean expensive training — rather than a “race-to-the-bottom” business model. Hartung gave the example of a trusted repairer, whose staff will talk to him and educate about the work on his “babies” — he’s a muscle car guy — as long as he needs. He in turn gets to know the employees as well. “There’s a bonding that happens when you stand for something bigger,” Hartung said. If it’s real, employees and customers will rally around it. While it can be off-putting to a consumer to have someone far more knowledgeable than them discuss their vehicle, done right, “that goes a long way,” he said in an interview later. “People will work hard if they believe in what they’re doing,” he said. A great way to invest in people is to train them, according to Hartung. He gave the example of a situation where an employee has no idea if they’re doing a good job or not because they weren’t trained in what a good job was. Get people who buy into the company’s vision and train them, and “people will work really hard,” he said. In contrast, telling people to work hard and “kicking them” to do so will just produce employees whose energy level will “drop dramatically” the minute you leave the area, according to Hartung. McDonnell asked Hartung about keeping profitable while still investing in factors like people. Hartung said Chipotle had an identity and built its business model around it. “It is a challenge though,” he said. Sometimes, this can mean tough choices like firing a longtime employee who recently soured on the job. A company with a single bad employee can cause the rest of the staff to feel underappreciated, or that management is unintelligent, according to Hartung. Keep the best, and make sure “you’re not keeping the worst,” he said. Hartung suggested simply inquiring sometime, “‘How’s the new guy? '” You’ll be “shocked” at the answer, he said. Hartung explained that making the process as efficient as possible meant the company could remain sufficiently profitable without having to increase the price of food. Grieve suggested that collision repair could ultimately see shops fragmenting into standalone facilities focused on individual brands, and Hartung said such an approach has worked at Southwest Airlines. The company uses a single type of plane, which all mechanics know how to fix and all pilots know how to fly. “It’s hard to be great at everything,” Hartung said. However, even the simple menu required much “handwork” and effort behind the scenes, according to Hartung. 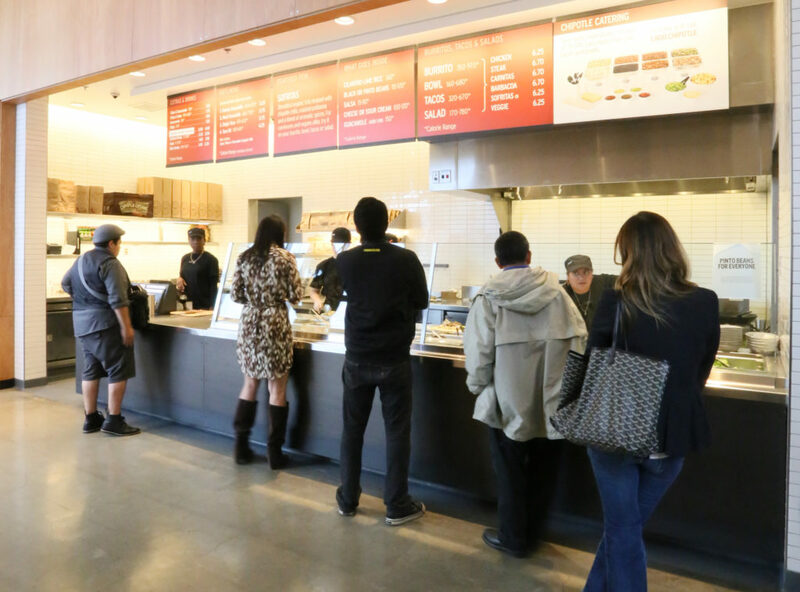 Chipotle opens at 11, but employees come in at least three hours earlier for prep, he said. It means a well-trained staff with a simple menu will deliver a great experience, for “they all work like a team,” he said. A single person who refuses to buy into the company’s vision or just hasn’t been trained throws a wrench into the works, according to Hartung. 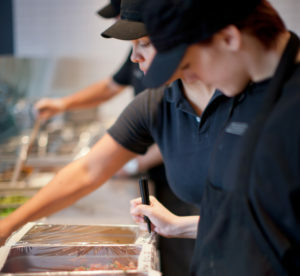 Otherwise, it’s a “well-oiled machine,” he said, noting that the fastest Chipotle can serve a customer every 12 seconds. Employees aren’t flying around frantically to accomplish such speeds, Hartung said. Instead, they do their assigned task, and the customers are the ones moving, he said. Hartung likened it to the New England Patriots, which he said takes role players and makes them stars. Hire the right people who focus on their role in a system capitalizing on those roles, and “beautiful things can happen,” he said. Hartung said a Chipotle crew member can be trained in an matter of hours or days, and the company has two paths for its general managers. An external candidate with other restaurant experience will typically face an “intense training” of about eight weeks, he said. “They’re still a rookie,” he said. Area managers responsible for about seven or so stores will continue to oversee and check in with them. General managers typically don’t get “really good” for at least a year, he said. With internal GM hires, “it varies dramatically,” he said. A 19-year-old crew-level employee with ambition and the right attitude could work their way up to a $50,000-and-benefits managerial role in a couple of years, he said. A crew-level employee who quits or gets fired costs the company $4,000-$5,000 in training, while a departing manager means the company is out $11,000. It’s “very expensive,” Hartung said — and predicted that for body shops, the costs would be higher. Also, an unskilled new hire probable can’t produce anything their first day of work at a body shop, unlike at Chipotle, Hartung projected. Keeping trained staff must be “key” for a body shop, he concluded. Restaurants are incentivized to do good work with A-F grading of all company stores; the grades reflect metrics like financials, workforce metrics like turnover, food safety and customer satisfaction, he said. The top 20-25 percent of achieve “restaurateur” status and can receive stock and other bonuses, according to Hartung. The company also ties employees to quarterly bonuses as well. Chipotle also offers health insurance to part-timers and full-timers from Day One, and the company will subsidize all but a few thousand dollars of a four-year degree at an online university, according to Hartung. Hartung said he felt Chipotle could better leverage its treatment of employee for PR purposes. “People should feel good” when they go to a Chipotle about what it’s doing for employees, he said. Hartung said Chipotle used to have a more complicated bonus structure but has since simplified it. The company used to rely on monthly mystery shoppers, but now examines customer satisfaction based on the 20-25 customer comments it receives monthly, according to Hartung. Managers who see a negative comment can work to fix it immediately, he said. As for financial performance, Hartung said a well-trained manager can usually grasp the concepts of sales and cash flow. He said it’s tougher to track that metric in the collision repair industry. Customers are rarely repeat visitors, if they come in at all, and laymen lack the expertise or tools like a lift to judge a repair, he said. He suggested that some sort of certification might help here.